Craig already has his sights set on the backcountry skiing season, but since the snow has yet to fly he’s agreed to practice some restraint. 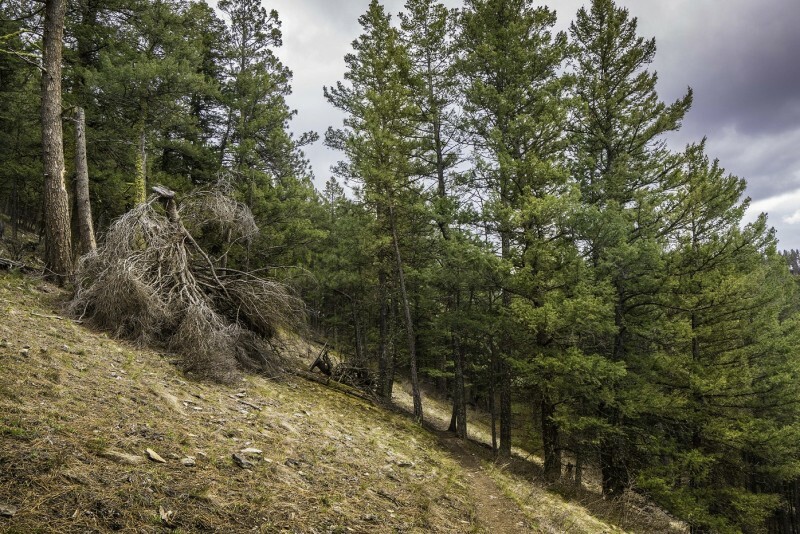 This weekend, he’ll tide us over until then with a lightly used trail in the Rattlesnake Recreation Area on the northeastern edge of Missoula. Directions: From Missoula, head north on Van Buren Street under the Interstate 90 overpass and up through the Rattlesnake Neighborhood for about five miles. The road – now called Rattlesnake Drive. When you get to the Lincoln Wood neighborhood, continue to follow Rattlesnake Drive as it turns to the right and then curves north again past Ten Spoon Winery and some new-ish housing developments. Just past the turnoff to the main Rattlesnake trailhead on the left is the turn for Woods Gulch Road on the right. Take that road and park at the trailhead a little ways down. Parking is limited, though most days you can find a spot. What to expect: You’ll start off the Woods Gulch Trail for the first mile, but at the second creek crossing you’ll head left onto Three Larches Trail. There are no markings – and it’s almost obscured by brush. The trail is steep initially, then levels off and goes up and down. There are very few rocks on the trail, so hiking is easy. You will intersect one other unmarked trail shortly after you start. Stay on the low trail. After about 1.7 miles the trail links up with an old logging road. Note the trail’s namesake at the intersection: Three beautiful larch trees. Continue on the logging road for approximately one mile until you get to the creek. There, enjoy great views of Lolo Peak and then, just past the creek, turn down Woods Gulch Trail and make your way back to the trailhead. A beautiful hike in all seasons! Learn more about this trail, file your own trip report and photos, or check out some other great hikes at hikewildmontana.org. And don’t forget to tune in to the Trail 103.3 each Friday at 9:50 am for the next featured trail and your chance to win!